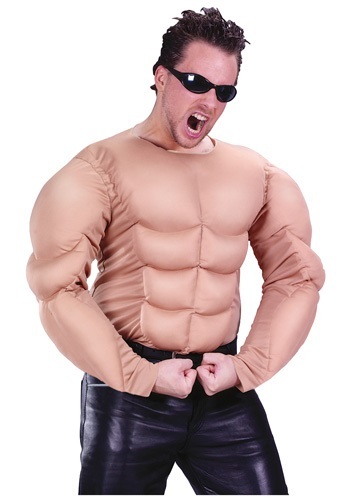 Muscle Chest Shirt By: Fun World for the 2015 Costume season. Don't want to spend your free time in the gym pumping iron? Now you don't have too, but you can still get the physique you've always wanted with this Muscle Chest Shirt. Wear this shirt under your costume to bulk up or wear it as a costume to look like your favorite bro from Jersey Shore.